Many thanks to all those who have donated! Your donations send our vets to see their memorials in Washington DC at no cost to them. You can donate to Honor Flight Kern County at any time by clicking the DONATE button below. Your opportunity to donate to Honor Flight Kern County through Give Big Kern starts now! Donations can be made at any time from now until May 7, 2019 at 11:59PM. The Big day for donations is May 7, but you can donate now too. 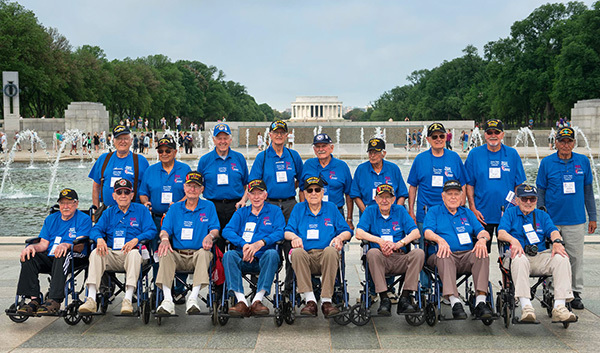 Just go to our #GiveBigKern – Honor Flight Kern County page and donate whatever you can to help us send veterans to visit their memorials in Washington DC! FREE to All Honor Flight Vets & any KC WWII Veterans. Spouse or 1 guest= $5/person. Please remember to wear your Honor Flight name badge, shirt or jacket - To have enough seats for all our Veterans, please limit attendees to Veterans and one guest each. –Thank you! VFW Hall 2811 Nugget Ave. Lake Isabella - Please RSVP Gary Zuber (760) 379-2109. Vets fly to Washington DC to visit their memorials. USO Building, 230 W. Ridgecrest Blvd. Gary Zuber (760) 379-2109 (3rdThursdays). Vietnam War Vets fly to Washington DC to visit their memorials. 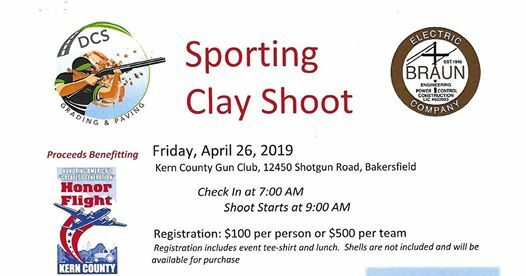 Give Big Kern, occurring on May 7, 2019, is a 24-hour online fundraising event established to celebrate the commitment of local nonprofits to make Kern County a better place to live, work, play, and serve. It unites charities and donors in a fun and engaging initiative to support animal welfare, arts and culture, education, the environment, health and human services, youth, volunteerism, and more.